"As we awaken to the field of aliveness in which we live, we enter the realm of this magnificent and important book. Almaas combines penetrating insight with clear communication to describe the self-sustaining fire of awareness awakening to itself. He challenges us to see the profound depth of our freedom as beings of cosmic aliveness who are learning to live in a living universe. A gem of a book! " "It's exhilarating to see a master teacher break free and clear—even of his own teaching! This book confirms suspicions that have long been growing in me and encourages me even more to trust my own inner compass as I bushwhack my way along the pathless path. 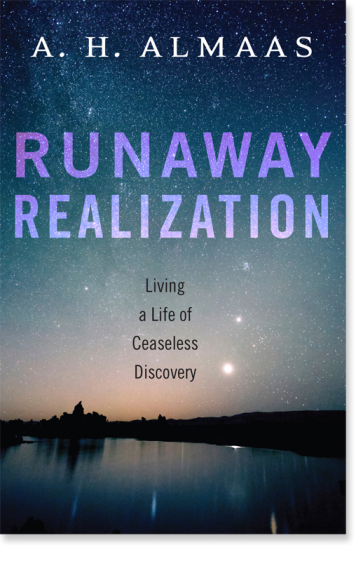 Runaway Realization offers an inviting and hopeful alternative vision of the mature stages of spiritual life, served up with the author's signature clarity and a newfound note of gentleness. " "Beyond duality and nonduality, the realizations voiced here are like the immediacy and laughter of Zen, expressions of untethered freedom beyond fixed view, the joy of letting go, embracing paradox, liberating wisdom, a gift of grace. "